Need some inspiration for inexpensive yet very nice and thoughtful Valentine’s Day gifts? Our pal Tanner from A Little Craft In Your Day demonstrates two fun ideas in this video! 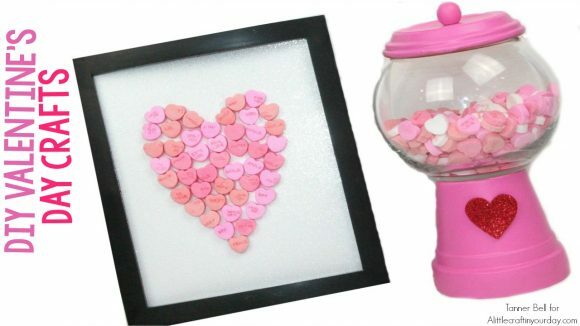 First he makes a project that has been very popular in our DSC Facebook group, a gumball machine made out of a flower pot and a glass bowl, followed by a heart candy collage. Watch the video below, or read Tanner’s blog post for more details.